The 1U rackmount ME35T converts audio trigger signals into midi signals (midi channel, note, velocity, on time, recovery time, etc). Each input can be triggered from an electronic drum, an acoustic drum, or from a microphone. And with its eight inputs, the ME35T gives you plenty to control. 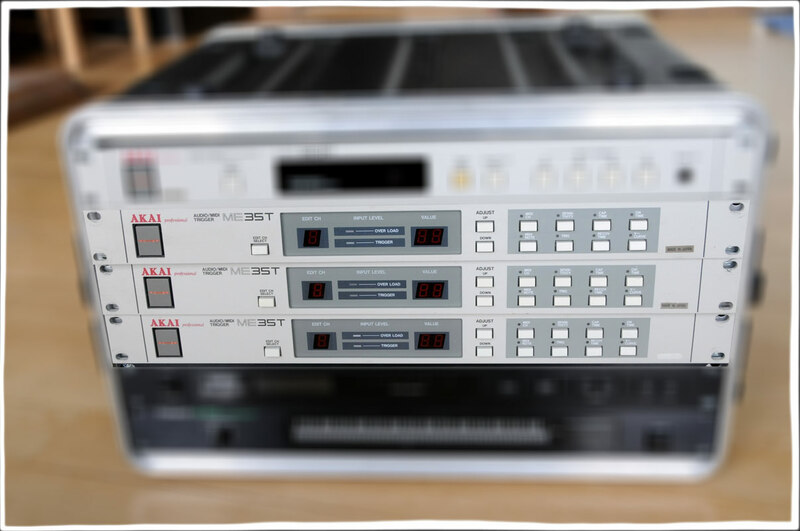 Whether you are a DJ using a mic, or a performer on stage with a full compliment of electronic sensors, you can combine creative expression with the advanced technology of digital samplers and synthesizers. The ME35T allows you to merge the midi signal from the audio inputs along with the MIDI signal from an external keyboard or sequencer so that you may use both devices to drive your midi sound generator.